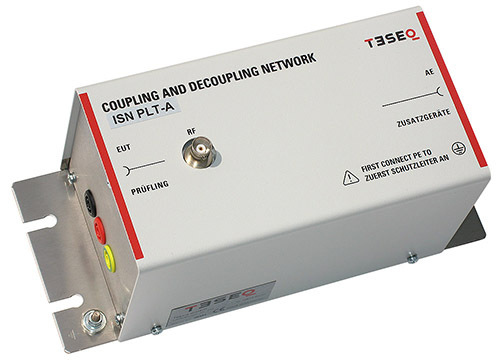 The ISN PLT-A is made for measurements on PLT devices which use one port for mains power supply and telecommunications (PLT port). It is conform with the requirements of EN 50561-1. Included in the delivery is the Coupling Unit (CU) as given in figure 3 of the standard.